I've been eagerly waiting for this book since turning the final page of Dead Girl Running and it did not disappoint. Picking up shortly after the end of the first book, What Doesn't Kill Her continues the journey of Kellen Adams with more action, emotion, mystery, and well-placed Dodd humor...sometimes in the middle of terror. Let me start out by saying how much I adore Max Di Luca. I'm so glad Dodd delves deeper into his relationship with Kellen in this book as well as revealing more of their shared backstory. I love his patience, his kindness, and his protective instincts. He's a wonderful father and I hope he'll have the opportunity to be a wonderful husband. I appreciate the difficulties Kellen is experiencing as she, Max, and Rae try to find their new normal. Dodd allows the transition to occur realistically, with advances and retreats, as Kellen, clearly out of her comfort zone, struggles to come to terms with everything that happened during the year she was in a coma, as well as finally facing the events from before and after. And then there's Rae, the precocious seven-year-old daughter Kellen never knew she had and doesn't quite know what to do with. I love this kid! The evolving relationship between these two is both heart-wrenching and hilarious, a combination Dodd pulls off flawlessly. All of these relationship threads are being woven at the same time Kellen, and her stowaway daughter, are running for their lives from men determined to steal a precious artifact Kellen's been hired to deliver. But that's only the beginning of the danger that's stalking them. 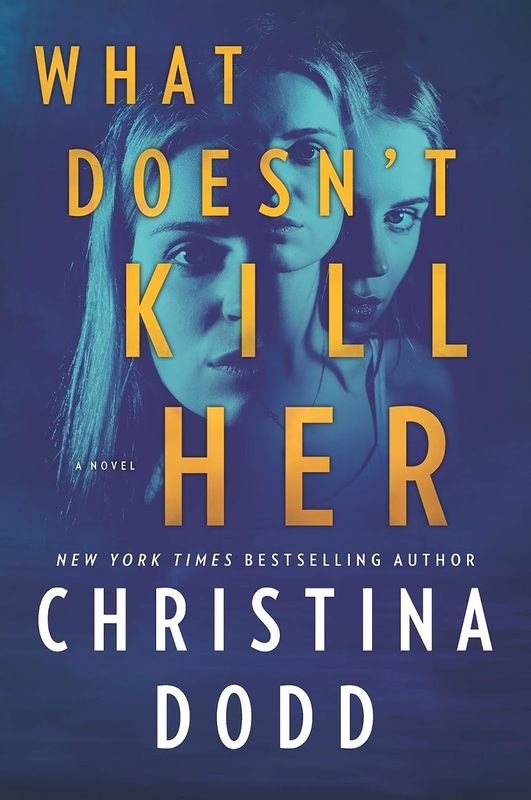 With edge-of-your-seat suspense, emotional depth, and unexpected humor, What Doesn't Kill Her is a story that lures the reader in and refuses to let go. It can be read as a standalone but for a complete understanding of the characters and the events that have led them to this point in their journey, I strongly encourage readers to read Dead Girl Running first. 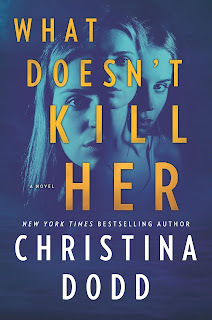 Hi PJ.😊 I just finished the online sample of this book and can't wait to get my hands on a copy of the whole thing.I have really enjoyed Christina Dodd's Romantic Suspense. She has managed the transition from Historicals extremely well and so much better than others who have tried it. I enjoyed her historicals so more than willing to give this a try! Sounds interesting. I do love her historicals. I read the first book and have read excerpts from this book. I am on the waiting list at the library. I am late to this series, but am planning to read it. Thanks for the review. It sounds like a wonderful book. I just finished this one. It was excellent. Loved Rae! I've been reading Mariana Zapata books and am unable to put any of them down. I just finished Luna and the Lie and am going back to From Lukov with Love.